Husky began on the night of July 9, 1943, and ended August 17. It was the largest amphibious operation of the war in terms of men landed on the beaches and of frontage. Strategically, Husky achieved the goals set out for it by Allied planners. 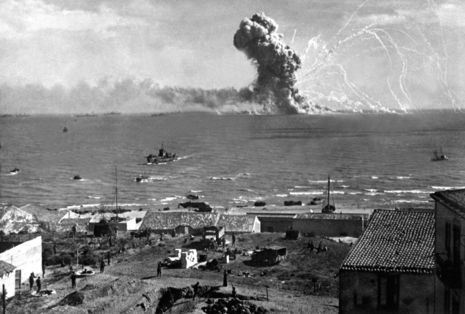 The Allies drove Axis air and naval forces from the island; the Mediterranean's sea lanes were opened and Italian dictator Benito Mussolini was toppled from power. It opened the way to the Allied invasion of Italy. Allied planners consented to Operation Husky after deciding it was not feasible to conduct landings in France during 1943. 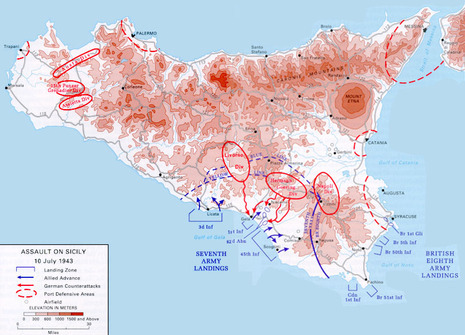 The invasion of Sicily was designed to open the shipping lanes in the Mediterranean, eliminate the island as an Axis base, and to encourage the fall of Mussolini's government. Gen. Dwight D. Eisenhower was given overall command with British Gen. Harold Alexander designated as the ground commander. 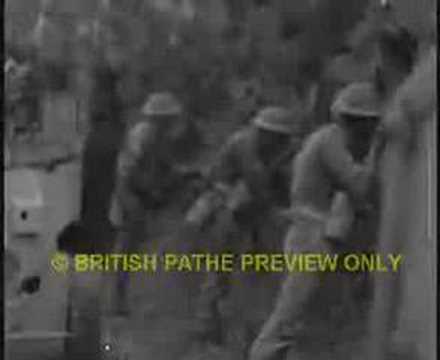 The principle forces for the assault were the US 7th Army under Lt. Gen. George S. Patton and the British Eighth Army under Gen. Bernard Montgomery.